The endless runner genre is one of those mobile game staples that only really existed in a silo of popularity for an incredibly limited time. 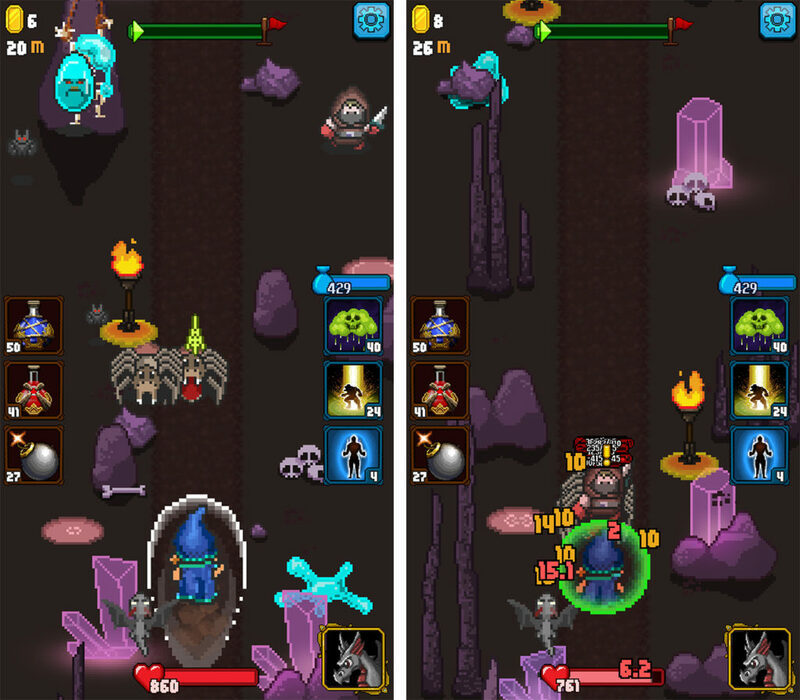 The genre mostly took off with Imangi Studios’ Temple Run, and once every mobile game tie-in looked to Imangi’s property as an example to emulate, it became quite clear that endless runners had overstayed their welcome. It’s precisely because of genre staleness that it’s so easy to recommend Tiny Titan Studios’ Dash Quest. It’s an endless runner styled in the same vein as those classic fantasy RPGs of days-gone-by, and the game takes liberal amount of inspiration from The Legend of Zelda — including an 8-bit art style and chiptune musical themes. In short, it’s original, without ignoring what makes these kinds of games so much fun to play. Dash Quest tells the story of the young Dash — a warrior who must save his kingdom from a great evil. Aiding him in his journey are powerful pets — including a dragon whose fire-breath can torch most enemies in one fell swoop — that can be unlocked and upgraded as the player progresses through the game’s endless running mode, as well as its comprehensive story mode. 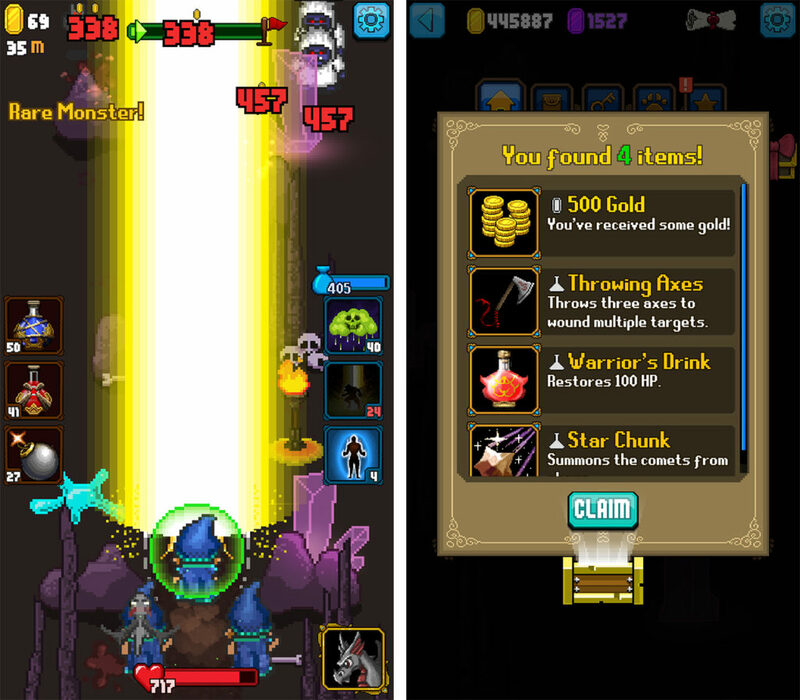 As players progress through Dash Quest, they’re able to level up their character; spend in-game currency on weapons, equipment, runes, spells; and upgrade Dash’s skills to increase his hit points, mana, intelligence, and even gain the ability to summon beams of light, acid rainstorms, and powerful lightning from the heavens above. 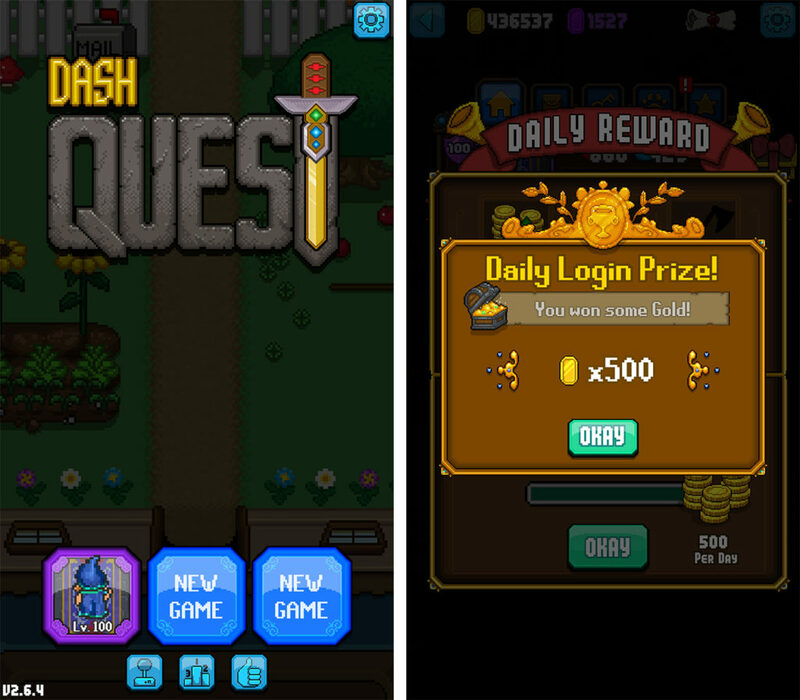 In addition to the endless runner and story modes, Dash Quest features a ‘Daily Dungeon’ mode, where players can play to unlock special items and more in-game gold, as well a ‘Minigame Gallery’ that lets players can try to survive against hordes of enemies to unlock runes, items, and — you guessed it — gold. Dash Quest also differentiates itself from its endless runner siblings by offering something that’s undeniably the antithesis to the genre’s core: finality. Players can max out Dash’s stats, complete the game’s story mode, and purchase and unlock every single item (without having to spend a single penny of real-life currency, even though the game more than supports microtransactions). For a free endless runner, there’s really not much more that anyone can ask for, especially since it’s still fun to try to beat your high score — and compete against a global network of players — when you have a few minutes of downtime during the day. A brief aside to address Tiny Titans Studio. They’re a growing group of developers, and most importantly, they’re entirely Canadian — they’re offices are in London, Ontario. The fact that Dash Quest’s developers are based out of the Great White North has absolutely no bearing on their game’s quality, but it’s still cool to know that playing Dash Quest is both fun and supportive of local Canadian talent. 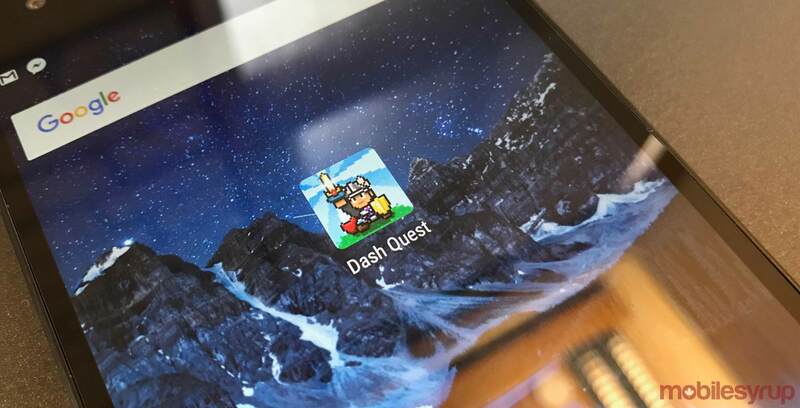 Dash Quest is available for free on both Android and iOS.